House Ways and Means Chairman Dennis Bonnen said Tuesday that he’d be fine with scrapping the tax cut plans offered by the House and Senate in favor of instituting an even larger cut in the franchise tax paid by businesses. As the Texas House and Senate appear at an impasse over what tax cuts to approve this session, House Ways and Means Chairman Dennis Bonnen said Tuesday that he’d be fine with replacing both chamber’s proposals with an even larger cut in the franchise tax paid by businesses. Bonnen, an Angleton Republican, authored the House’s $4.9 billion tax cut proposal, which would cut the state sales tax rate and the franchise tax. The Senate has backed a proposal from Finance Chairwoman Jane Nelson, R-Flower Mound, that would cut the franchise tax and increase homestead exemptions to lower local school property taxes. Bonnen has repeatedly dismissed the Senate’s proposal as an inevitable letdown for Texans, predicting most won’t see their property tax bills decrease because of increases in property appraisals and local tax rates. Businesses pay more than $9 billion in franchise taxes every biennium, nearly double the size of the tax cut proposals that have been offered by either chamber. Lawmakers have spoken critically of the franchise tax since its creation in 2006 to cover the costs of the last round of property tax relief. “I think the most intelligent, responsible thing is to eliminate or move towards the elimination of the tax we expanded to do our last $7 billion property tax cut that taxpayers never saw,” Bonnen said. Bonnen made the comments following the morning session of the Ways and Means Committee’s hearing on the Senate’s tax cut bills. 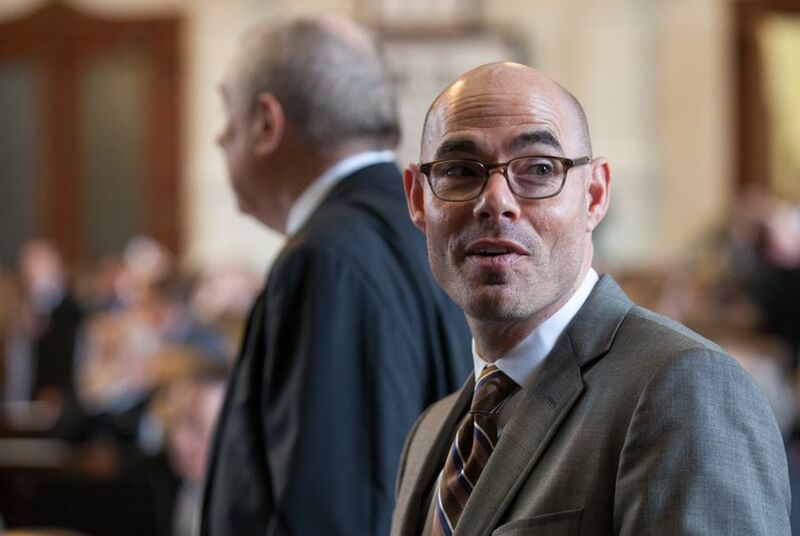 Bonnen spent a large part of the 90-minute hearing criticizing the efforts of the Senate to once again provide property tax relief. House Democrats have strongly backed Bonnen’s sales tax plan but have been less supportive of cutting the franchise tax, arguing that the money could better be used elsewhere. Asked about Bonnen’s interest in ditching the sales tax cut in favor of a larger franchise tax cut, state Rep. Trey Martinez Fischer, D-San Antonio, was skeptical. Bonnen declined to say whether Nelson’s tax cut bills, Senate Bills 1 and 7, would make it out of his committee and to the House floor. However, a related measure from Nelson, Senate Joint Resolution 1, is likely to die in committee, based on Bonnen’s comments at the hearing.